Boutique of Quality Books, 9781608081561, 192pp. You've seen ads for online dating on television, in newspapers, and (naturally) on computer popups. The models are cute, handsome, young, or at least looking good for their age. But what REALLY happens when a computer semi-illiterate 60ish widow is prodded into this very 21st century form of dating---when the last time she dated was when Neil Armstrong and Buzz Aldrin became the first men to walk on the moon? Getting back into dating makes her feel young. Actual dating makes her realize she is NOT sixteen anymore. What started out as entries on her Facebook page have expanded into detailed accounts of dating foibles and feats. 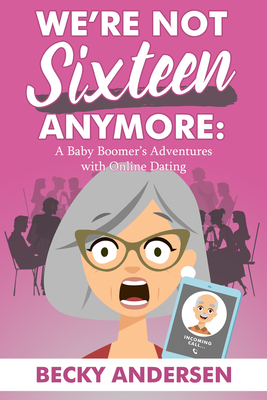 Anyone who has embraced the concept of online dating, no matter at what age, will find her adventures laugh-out-loud funny and charming. A Baby Boomer native Iowan, Becky Andersen married her high school sweetheart, has a Bachelor of Science in sociology from Iowa State University, is mom to two daughters and "MoMo" to five grandchildren. She married her cyber sweetheart, and happily expanded her heart and soul to include three more children and four more grandchildren. She and her husband love to travel, garden, and entertain.